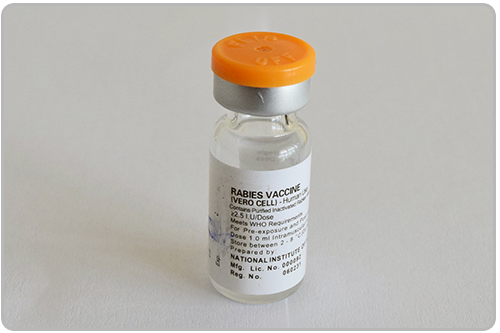 The vaccine is liquid preparation of Rabies fixed virus grown in Vero cells. After incubation, and harvest, the virus suspension is inactivated, concentrated and purified, to which a suitable stabilizer is then added. It is a whitish clear liquid, containing Thimerosal as preservative.